Football Sunday twice in the “López Púa”. This is what awaits the followers of the Unión Deportiva Tarifa with two interesting encounters. 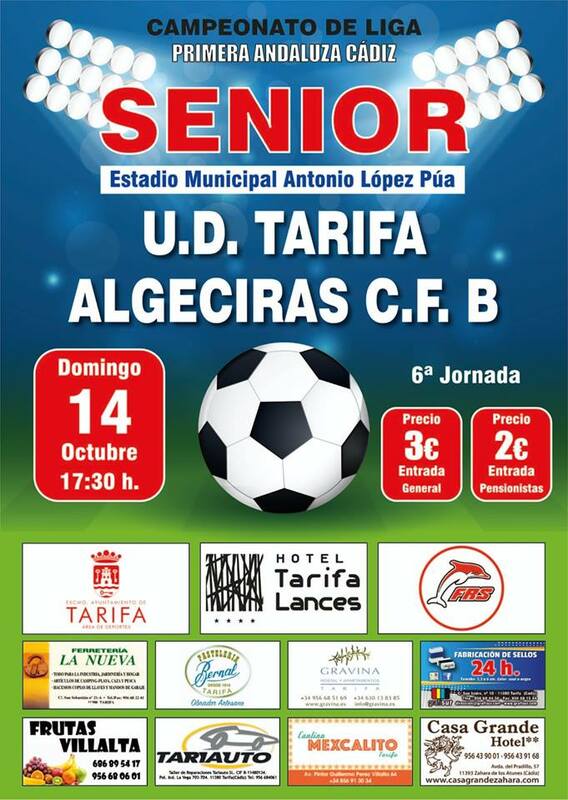 Algeciras senior faces the titular team of the UD Tarifa. On Sunday afternoon, at 17.30, they play the sixth day of the league against an Algeciras that closes qualification. The local seniors are eleventh overall with six points. The economic prices at the entrance to “López Púa” want to be the key for the fans to return to the stands. This Sunday, October 14 will be proposals to do so.